Cosmetic dentistry improves a person’s aesthetic appearance with a beautiful smile, but it serves to provide so many other benefits. In fact, the functionality of many types of cosmetic dentistry serves to improve oral health and overall physical health. Visiting a cosmetic dentist can have promising results. Consider how it can improve your smile. Our dentist office provides cosmetic dental procedures that will last a lifetime! We offer affordable services in many types of cosmetic dentistry. We would love to talk to you specifically about a dental makeover no matter how big or small the procedure may be. Below you will see details on many of the different cosmetic dental procedures that we provide. If you’re interested in improving the look of your smile with veneers, we can help. We offer natural looking, attractive veneers that can help to improve smiles that are stained, misaligned, or uneven. With our expertise and our wide variety of veneer options, we can help you achieve the smile of your dreams and go over the pros and cons of this procedure. If you’re looking for veneers in the Castle Rock area, we offer some of the best options. You may be looking for specific brands of veneers like Lumineers, all of our brands do vary in price range – for instance, if you are going to do a full mouth procedure or just specific areas will be a big factor. 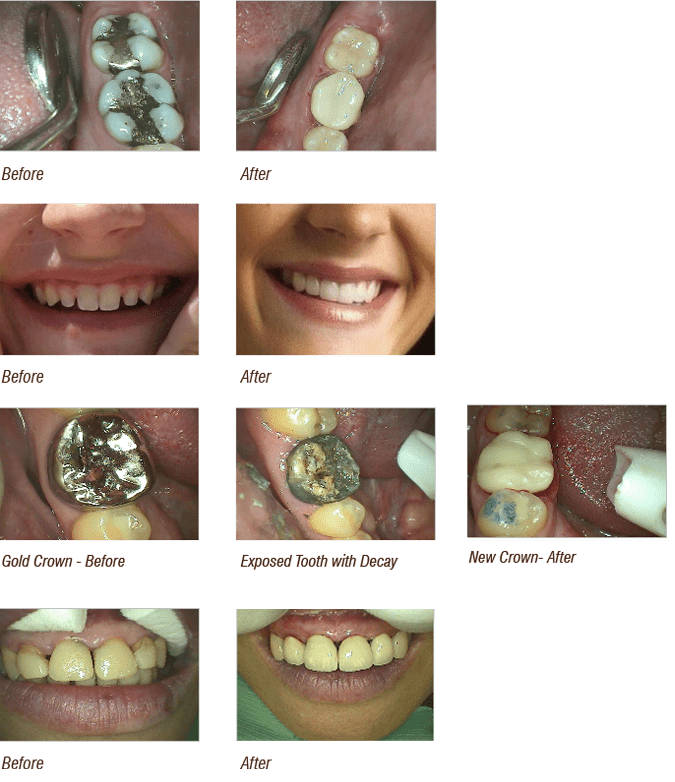 One of the easiest, least expensive, and most common cosmetic dental procedures, tooth bonding is the process of applying a composite plastic, generally tooth-colored, for a variety of purposes. In many cases, tooth bonds are used to repair chipped or fractured teeth or to make discolored teeth look white and clean again. In some cases, they are also used to make teeth appear longer or to change the shape of your teeth–whatever cosmetic effect the patient desires. There are also a few practical, non-cosmetic advantages to tooth bonding. Bonds can be used to close spaces between teeth, which could normally be problem areas for plaque growth, and in cases where gum decay has caused the root of a tooth to be exposed, bonding can cover and protect the root. Best of all, applying tooth bonds is a simple and inexpensive process; in many cases, the procedure can be completed in just one dental appointment, and it can take as little as a half an hour. Whatever your reason for wanting to get tooth bonds, we will do a quick and professional job bonding your teeth.